You ended First Year with the Renaissance, a time when people became more curious about the world around them and started to learn new things. This is exactly where you pick up when you start Second Year, with the Age of Exploration being the first topic you learn about. People wanted to explore more of the world around them, and many kings wanted to find faster trade routes between Europe and Asia, which produced silks and spices desired by many in Europe. You've probably heard of Christopher Columbus, who went to search for such a route without knowing that there was a continent in the way. In this chapter you'll learn about how he discovered what is now America. You'll also learn about other explorers such as Ferdinand Magellan and you'll hear how the Conquistadors went to invade and conquer South American tribes for Spain and Portugal. The reasons for the voyages of exploration. The ships and navigations tools used. Life on board ship during a voyage. The Conquistadors and their conquests. The results of the Age of Exploration. Click here for advice and tips on answering exam questions. 1. Give two reasons why rulers were willing to sponsor voyages during the Age of Exploration. 3. Explain why there was a great demand for spices in Europe around the year 1500. 5. Name and explain one instrument of navigation used during the Age of Exploration. 6. Give one reason why sea travel was so dangerous during the Age of Exploration. 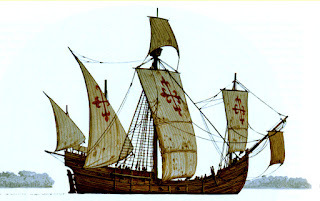 (i) Achievements of the Portuguese voyages of exploration. 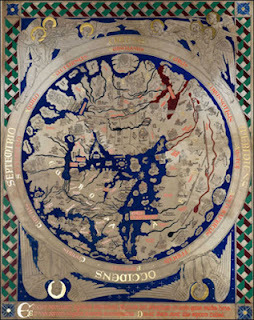 (ii) The conflict between European powers as a result of the voyages of exploration. (iii) The Spanish conquest of either Mexico or Peru. Each of these questions are asking the same thing, with minor differences here or there. The first three are just different ways of saying "A named explorer in the Age of Exploration" (i.e. Columbus or Magellan), while the fourth is asking you to describe the same thing, but from a different point of view. So, if you're taking about a named explorer (Columbus or Magellan), how would you approach it? The answer below is for Columbus, but can suit Magellan as well. Name and introduce the explorer. Where was he born? When? Explain why the explorer wanted to explore. Who sponsored him? What did they want to find? How did his voyage begin? How many ships did he have? How many men? Where did they leave from? When? What was the voyage like? Describe the conditions. How did the explorer react? What did the explorer discover? Describe how the first discovery was made? What did the explorer do? What happened when he returned home? Describe the explorer's later voyages. What happened on them? End with the explorer's later life and death. Name and introduce the explorer. Explain why he wanted to explore and who sponsored him. Talk about the beginning of the voyage. Describe the conditions on the voyage. Explain what the explorer discovered. spend too long talking about the conditions of the voyage. Remember, your answer has to be about the explorer, so make sure everything is to do with him. say "Hi, I'm Christopher Columbus..." Like I said, this has to be in the third-person (describing other people). name a term (like astrolabe or caravel) and then not explain it. You always get marks for explaining terms. 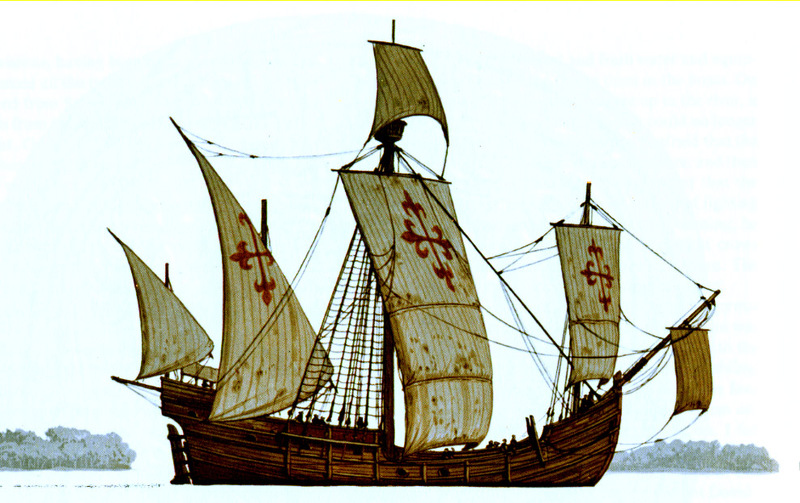 This site explains how caravels were designed and built. It also has a longer section explaining the history of caravels in general. Here's a map showing the routes of the main voyages. It's in Spanish though, so be careful. Colón is Columbus. The countries on the map are the countries that existed at the time, mostly kingdoms and tribes. This site gives a few details about each of Columbus' voyages. Answer a few questions on the explorer. Learn what goods were traded between Europe and the "New World". History.com has a lot of information on how the Aztec people lived before the Europeans came. Learn how to play some games that Aztec children and teenagers would have played. This website has a lot of different facts about how the Incas lived in what is now Chile. Find out more about the conquistadors here. There were more than just Pizarro and Cortes!